Eastbourne Borough Council says the 130,000 ballot papers stolen in a printer’s van today will be reprinted in time. The van delivering the ballot papers for Eastbourne’s Parliamentary and Borough elections was stolen from the London area. The Metropolitan Police are investigating the theft. 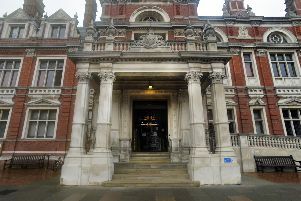 The 130,000 ballot papers are being re-printed and while there will be a minor delay in delivery they will arrive in Eastbourne in time for election day, said a council spokesperson. “Eastbourne Borough Council will not incur any additional costs as a result of this re-print. “The replacement ballot papers will be printed on different coloured paper to the original batch to prevent fraud. This will mean that if anyone places one of the stolen ballot papers in a ballot box on election day it will be easily detected and removed. “One unavoidable anomaly is that the previously issued postal vote ballot papers are on the original colours and can be posted or handed in at a polling station right up to close of poll on May 7. “However, these ballots have to be returned with the associated paperwork and go through a rigorous scanning process separate to the other ballots. They are not placed in ballot boxes at the polling stations.